The City of Holroyd is a Local Government Area situated approximately 25 kilometres west of the Sydney Central Business District and adjoining the City of Parramatta. On 5th February, 1872, a petition signed by 87 property holders, representing a population of 500 people, was forwarded to the Governor of the day requesting that the locality, an area of 14 square miles, be incorporated into a Municipality, and be shown as the Municipal District of Prospect and Sherwood. The petition was granted by the Governor exactly five months later on 5th July, 1972. The name change to Holroyd occurred in 1927 to honour the first Mayor, Alderman A.T. Holroyd. 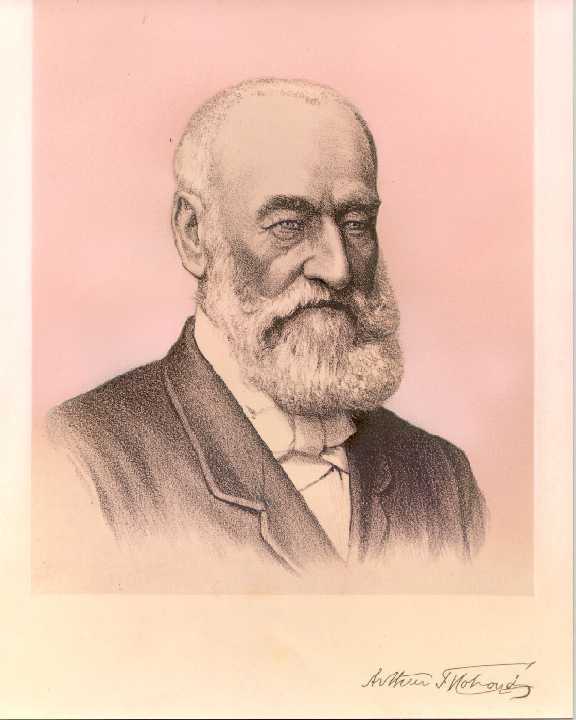 The first Mayor of the Municipality of Prospect & Sherwood, Arthur Todd Holroyd, after whom the present city is named. The boundaries of the Municipality were the western railway line from Parramatta Park to Toongabbie Railway Station, then across in a generally easterly direction to the southern railway; north to Sydney Road; across a section of Harris Park; across to Church Street, Parramatta; across to Boundary Street to the west; and then in a northerly direction back to Parramatta Park. Today the City of Holroyd covers a land area of 39.89 square kilometres. The boundaries originally petitioned have remained reasonably unchanged. In January 1991, the Municipality was declared a City. Holroyd is bounded by the Cities of Parramatta (North/East), Fairfield (South) and Blacktown (West). Physical boundaries such as Prospect and Toongabbie Creeks, Prospect Quarry and the main southern and western railway lines mark the parameters of the local government area. Passing through Holroyd are some major road links for Western Sydney. The Great Western Highway, providing access to the outer western suburbs, passes through the top quarter of the city. The F4 Motorway passes through Mays Hill, linking the inner western suburbs with the Blue Mountains, and running parallel to the Great western Highway. The Cumberland Highway, providing a road of highway standard from Hornsby to Liverpool, bisects the Holroyd Local Government area from north to south. Until 1960, the area consisted of residential areas in the inner parts with poultry farms and market gardens in the western section. Since then, there has been a rapid increase in urbanisation and industrialisation, and farming activities are now almost non-existent. Before the First World War the only industries in Holroyd were several clay brick, roofing tile and earthenware pipe establishments and the blue metal quarry at Prospect Hill. Later the manufacture of cotton goods and the spinning of cotton yarn was commenced by Bond's Industries at Pendle Hill. Following the Second World war, the introduction of the County Planning Scheme allowed new industrial development to take place. A large number of important industries have been established in Holroyd including such well known names as Comalco Aluminium Ltd, Tubemakers Australia Limited, J Blackwood and Sons Ltd, Woolworths Ltd (Distribution Centre), Coles Supermarkets (Warehouse), Visy Board Industrial Packaging, James Hardier Industries Limited, Boral Ltd and Bond's. These and other industries are important generators of employment opportunities for local residents. Seven percent of the local government area is zoned open space, including a number of sporting fields and two significant passive recreation areas (Central Gardens and Walpole Street Park). A further three percent of Holroyd is zoned commercial, the major area of development being in the centre of Merrylands, Smaller but significant commercial areas have developed in Greystanes, Wentworthville and Pendle Hill to service local residential communities. The remaining sixty percent of the City is zoned residential, and is virtually fully developed. Source: Prants, Peter Holroyd and its Suburbs. Holroyd City Council, 1996.